Some people just can’t say no – to anything! In fact, here in Ireland, it’s common to talk to people who won’t say an outright “no”, even if they have no intention at all of making a commitment to take action. An article in Psychology Today reveals that the “inability to say no” syndrome is common. Turns out, there is a deep-rooted psychological reason why many people want to avoid saying no. It’s all about avoiding conflict. OK, so saying no won’t cause World War Three, but when you refuse to do something, the person who made the request is likely to spend time trying to persuade you to change your mind. In our brains, that’s conflict – and most people don’t like it. There are other reasons why we don’t say no too, as Zen Habits points out. Sometimes we want to avoid being rude or being seen as rude (which is particularly important to those of us on this side of the pond). Or we’re afraid that we might miss an opportunity that might never be available again or burn a bridge and end a relationship – even a business relationship. And sometimes, we really want to help the other person. All of these reasons make us totally human and are understandable. The inability to say no can make us popular or can lead to others taking advantage of our good nature. But there’s one thing for sure; if you can’t say no, you won’t be as productive. That’s because if you can’t say no to anyone, you may never be able to focus on the things that matter to you. Let’s face it, if you’re helping all your colleagues with their tasks, you are probably not doing yours. It can also be the start of a trend. If you keep helping others, then they soon learn to come to you for help (sometimes well before they really need it). And they will sing your praises to others, who will also ask for help. That means that over time, more people will ask you for help, giving you less time to spend on your own work. So what’s the alternative? Instead of letting others distract you, you need to focus on saying no to distractions so you actually accomplish your own work. How do you do this? We have touched on this before, but here are two possible approaches. First, follow the example of some of the most productive people and write down your most important tasks (MIT’s) the night before. You’ll sleep better knowing your day is planned and without even knowing it, your mind will be focused on the task. It’s amazing how many problems your subconscious can solve! The next day, start with the most crucial one and then work your way through the list, avoiding all distractions. Second, set a specific time slot aside for helping others each day. The post-lunch lull is a good time to do this, leaving you time to focus on your own tasks throughout the morning and after 3pm. 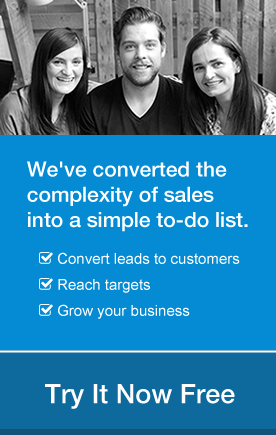 Ask the people who want your help to detail their needs in an email. Sometimes, writing it down will help them to solve the problem, or they may decide it’s easier to do it themselves, reducing distractions for you. There’s more. It may seem counter-intuitive but saying no is a good business skill which can have positive results for your business. As Seth Godin says: “saying no is the foundation you can build your yes on”. He also points out that if you want to take advantage of the best opportunities, you have to say no to the others, because it’s physically (and mentally) impossible to do everything. If you’re honest with yourself, you will know that when you are doing everything for everyone, you soon feel burned out. Saying no is a philosophy that Mike Michalowicz, author of The Pumpkin Plan, also believes in. He tells the story of how his personal guru encouraged him to list all his clients in order of revenue and relentlessly prune the ones that weren’t bringing in the numbers he needed. In other words, he needed to be like a pumpkin farmer: plant lots of seeds and gradually weed out the ones that weren’t blossoming well, eventually nurturing the strongest and the best on each vine. Imagine how that approach could improve your business, helping you to focus on the most interesting or lucrative opportunities while saying no to tasks that would distract you from success. That’s why it’s important to learn to say no, so you can be more productive and successful. As it turns out, in most cases, we don’t need to be afraid to do it. An article in the Wall Street Journal says that most people don’t judge a refusal as harshly as we think, so our insecurities about saying no really don’t apply. It also gives some tips on how to say no, including practicing your refusal in advance so it’s not so difficult when you finally have to say it and buying yourself some thinking time (this one is good if you haven’t had time to practice beforehand). You can simply tell people you will get back to them. If you’re ready to say no, you can also deliver your refusal in a soft tone of voice and continue to repeat it, even if people keep asking. If you stand firm, then they will eventually give up. Lifehacker also recommends using the right words when refusing to do something. For example, replacing “I can’t” with “I don’t” when refusing something psychologically keeps you in the driving seat. 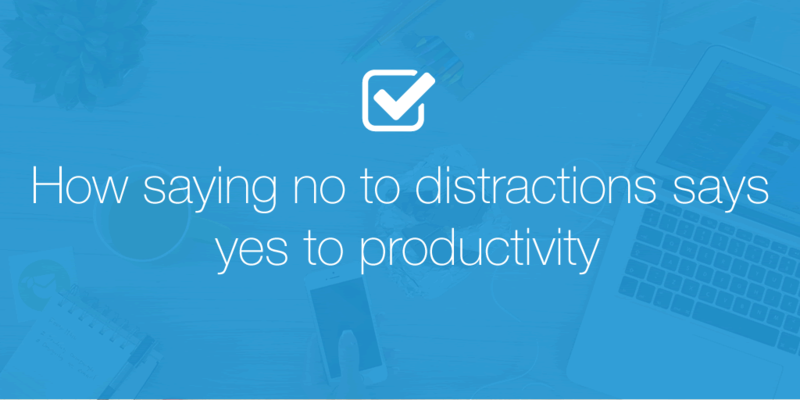 Saying no to other people’s distracting tasks means that you can focus on getting your own tasks done. Keep distractions to a minimum and you will be more focused, more productive and more successful.